This past week has been so much fun our family. We rented a cottage about an hour north of Montreal. The weather was so amazing, the lake was just perfect, and even better… it was quality family time with no distractions from things like the Internet or TV. What was important for us was to spend at least one day away from the cottage with our son. 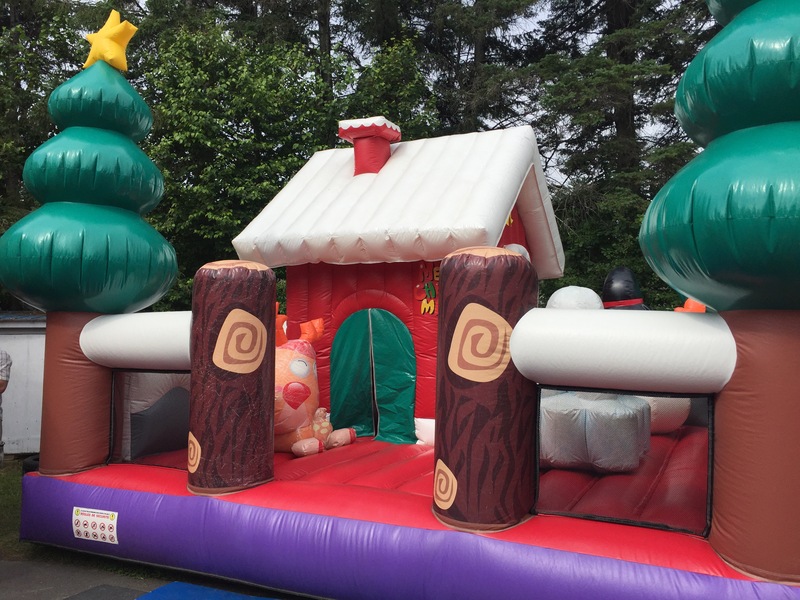 Spending some time at a children’s theme park or something similar that would really excite our 3 year old, as well as be a lot of fun for the entire family. I find three years old to be a very interesting age group. They are very active and curious but not quite ready for a big adventure parks or water parks. When I came across the Village du Père Noël, I was very intrigued. 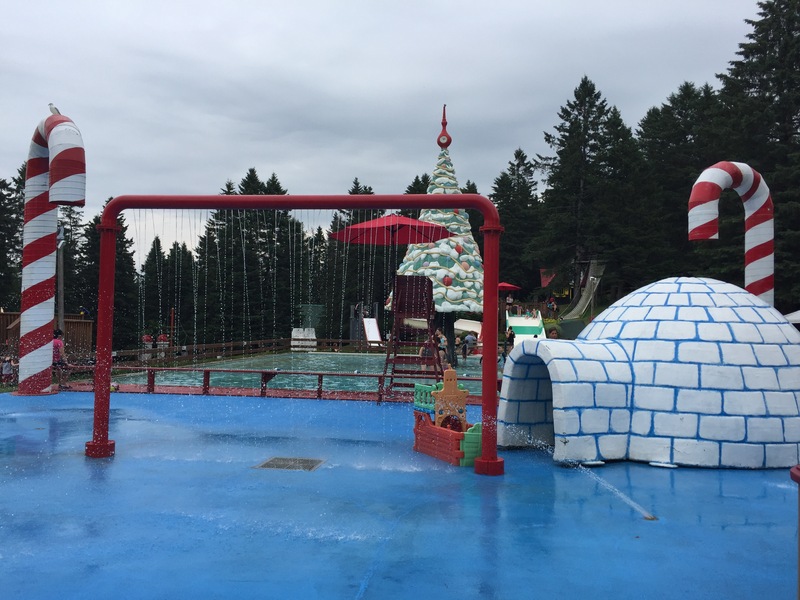 This amazing little attraction is about an hour north of Montreal, and right in the heart of the Laurentiens. 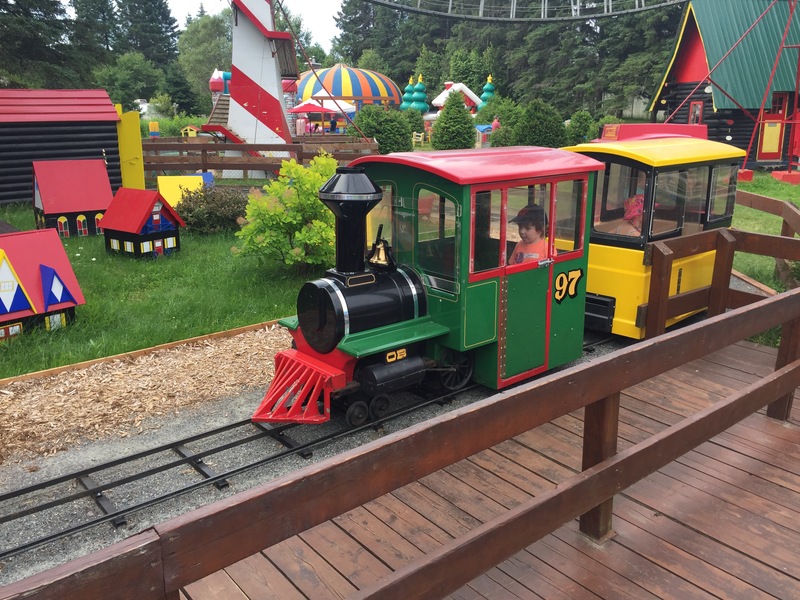 It’s a theme park for the entire family but its main focus is the age group of two years old to six years old. (Maybe even 7/8 years old too). 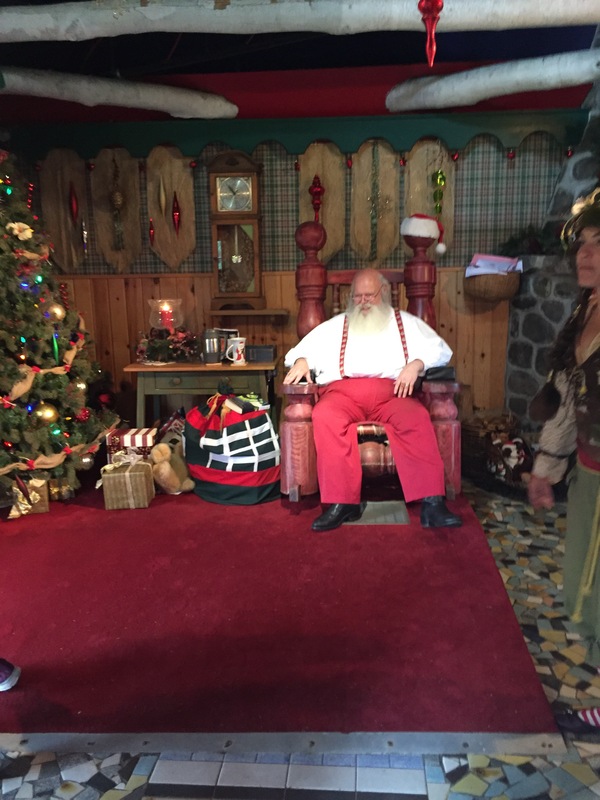 First off Santa lives there and he is fantastic he was a great treat to see in the middle of the summer and he’s really excited to see all the kids. Needless to say to our oldest son isn’t quite sure about Mr Clause, but our 8 month old was cool with meeting the big guy! There is a lot to see and do at the village. 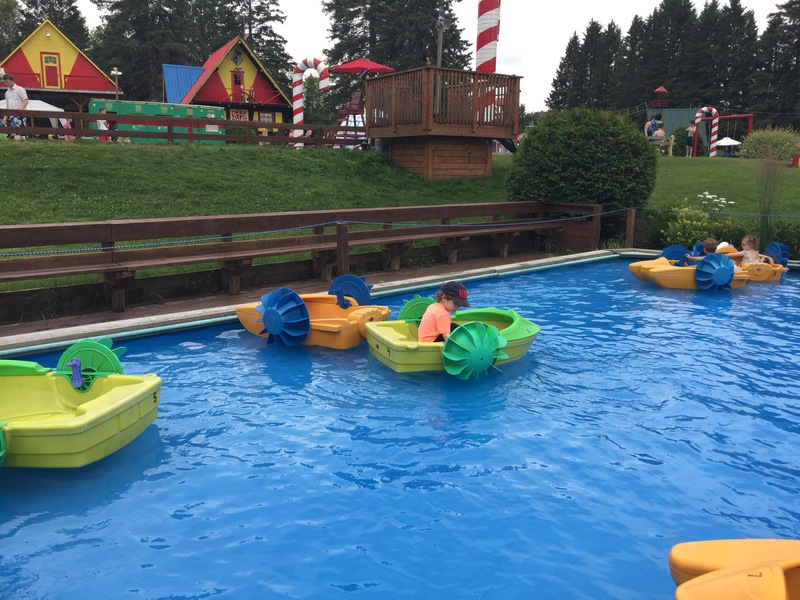 From th bouncy castles, to push cars to the slides, maze and row boats… I’m not kidding when I say you can easily spend a day here. And then there is the train…. I think Maxwell spent an hour with the trains! The staff were really patient with him, he is slightly obsessed. 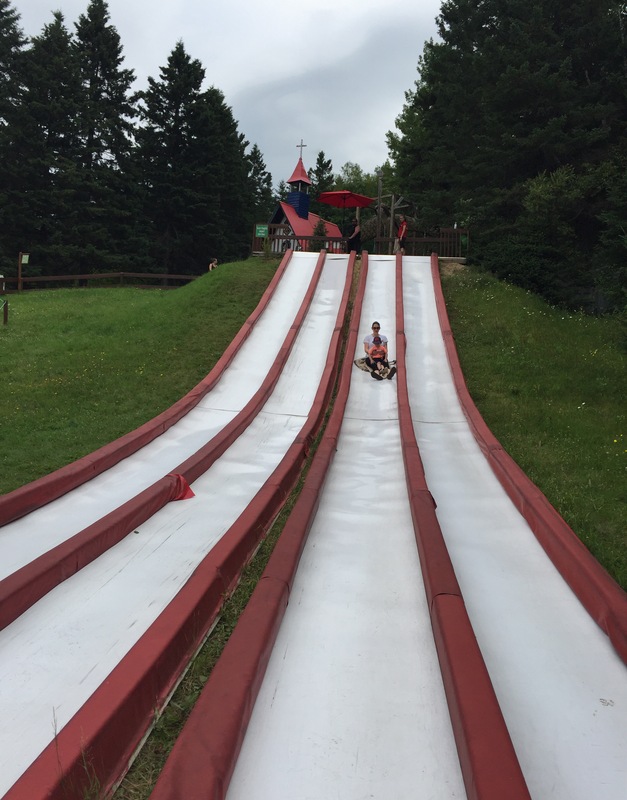 If there isn’t a lot of kids at that particular attraction, the staff are very willing to let your child go on the ride again and again there is no pressure and no rush. 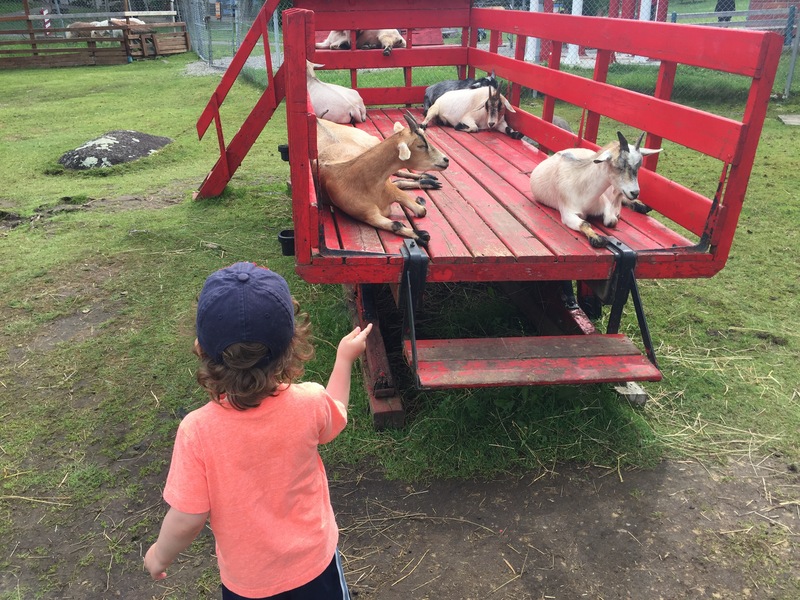 The petting zoo is also rather impressive, and you can really be up close and personal to some of those goats! 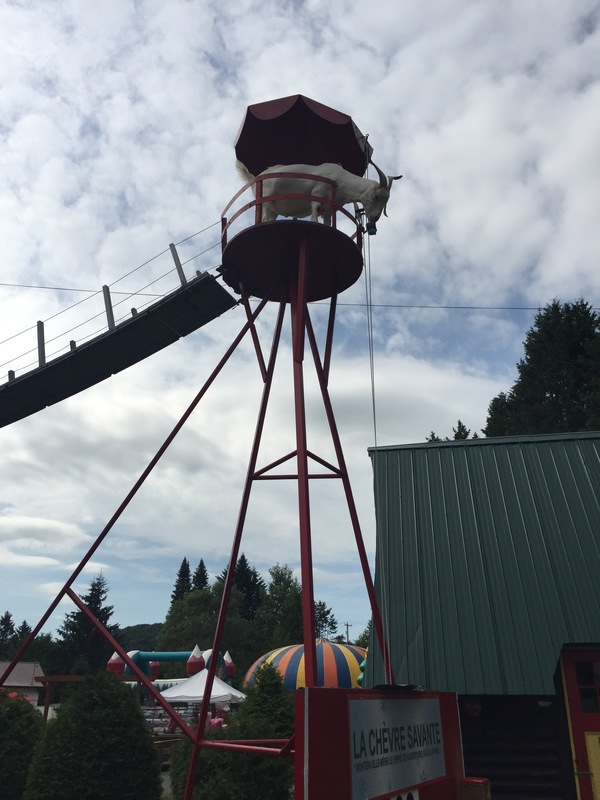 And speaking of goats you haven’t seen anything in life until you see the goats at the village, this one particular goat is able to pull up his own food on a pulley system at the top of the bridge…. I mean how do even train a goat to do that? I think my husband and I were most impressed by this Goat! 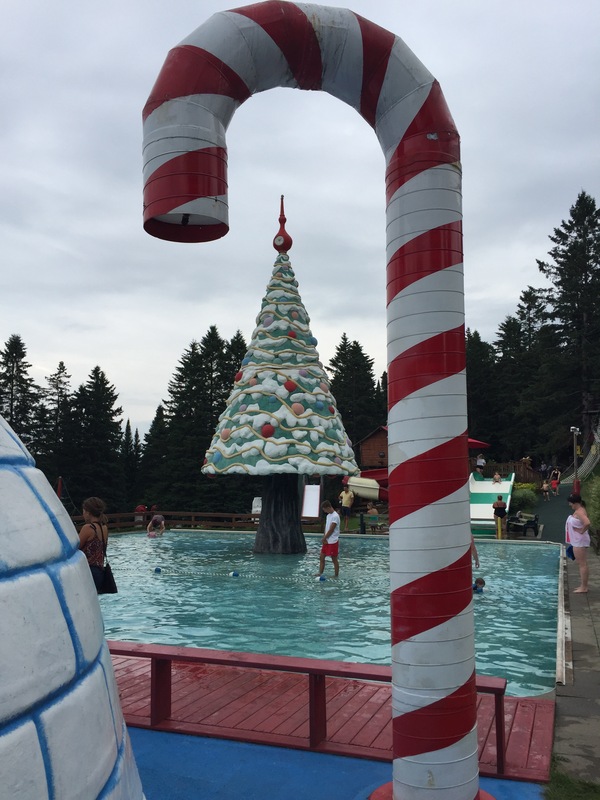 There is also a great little water park perfect for little kids. The waiting pool the splash pad as well as the waterslides are perfect for the age group. We didn’t get a chance to play in the pool because it was a little cool that day, but definitely going to head back there one day and take advantage of that splash park! 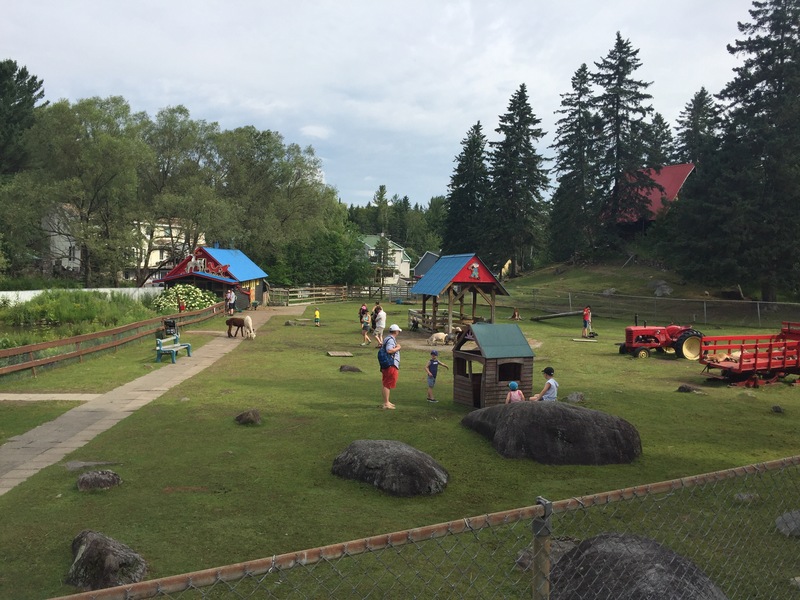 Now here is everything you need to know about this fantastic a little park! This place is family friendly I mean really really family friendly. There are change tables, smaller toilets, and stepstools at the sinks so that kids are able to wash their hands. There are shaded picnic benches practically everywhere and you are encouraged to bring your own food, or you can take advantage of the healthy snack bar. And there’s even rentals for waggons! Having been around for so long this place has thought of it all! Everything is included in your price of admission except for the pony rides. Parking is free and you have in and out priveledges so you can get your lunch or swim stuff from the car. Very stroller friendly, we had our lighter travel stroller with us and never had any issues. Arrive early! We were there at 9:30am (park opens and 9am) and had the places to ourselves…. at around noon and lot of daycares and day camps were arriving and we saw some of the lines getting bigger for the attractions. Still very manabagle, however it was worth a note. 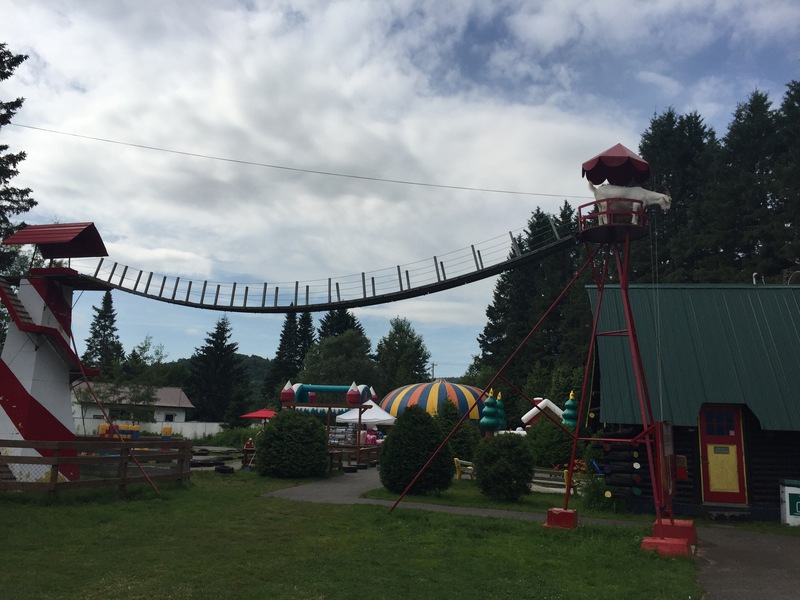 Overall this is a fantastic place to spend the day with your little kids! A definite recommend and we can’t wait to go back!